an oral history project sharing stories through the memories of survivors who witnessed the tumultuous events of WWII in Northern Sarawak and Brunei Darussalam, Borneo (Dec 1941 - June 1945). Website Link. provides a new interactive exhibition showcase for Borneo's unique natural and cultural heritage. It uses the latest technology and innovative strategies to incorporate immersive, interactive media in the design and exhibition space. Audiences can engage with the exhibition media in both interactive and passive ways. Through this approach the exhibition appeals to a broad audience, those comfortable with leaning back and watching media such as film and television and those wishing to interactively navigate through the database of media clips and resources. Thesis Title: "Memory and Narrative in Digital Media Documentary"
2012 - Alumnus of the Year Award, School of Humanities; Arts, Education and Law Group, Griffith University, Australia. Marles, Janet E.; Jukim, Maslin; Dhont, Frank. (2016) 'Tropical War Stories: Preserving Oral Histories from World War II Borneo' eTropic Journal 15.2 Special Edition, International Day of the Tropics. pp. 82-94 Link. Marles, J.E. (2015) "Simulating Memory: a technique of memory and narrative in interactive digital media." 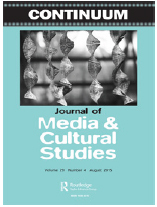 in Continuum, Journal of Media and Cultural Studies, Special Issue on New Media and Memory, 06/2015, Volumne 29, Issue 4, 534-548, Taylor & Francis Online. DOI: 10.1080/10304312.2015.1051803 Read article. Front cover image by Marles, J.E. Marles, J.E. (2013) "Auto/biographical Ethics: The Case of 'The Shoebox'." in a/b: Auto/Biography Studies, Volumne 28:2 Winter, pp. 192-211. http://muse.jhu.edu/journals/ab_autobiography_studies/v028/28.2.marles.pdf Read article. 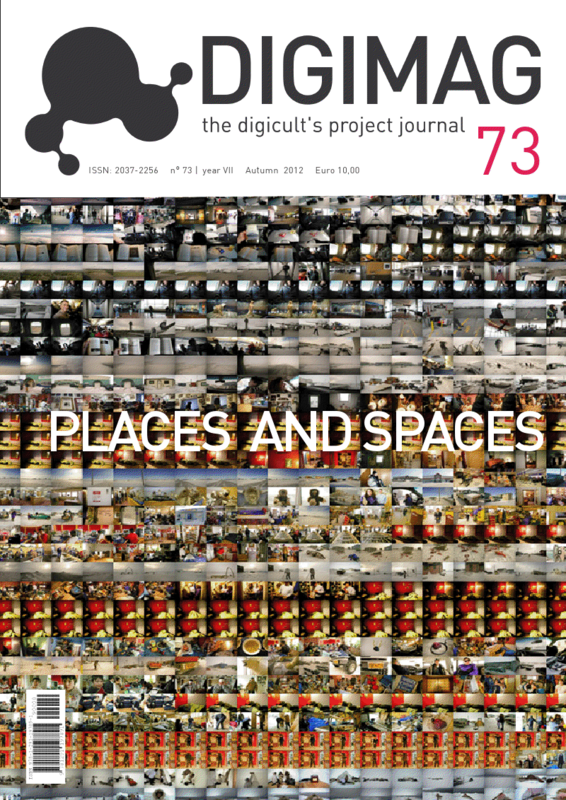 Digicult - digital art, design and culture. http://www.digicult.it/ pp. 77-92. ISSN: 2037-225. ISBN: 978 - 1 - 291 - 19610 - 8. Download issue. Front cover image from my article, view larger image. Marles, J.E. (2010) "'Everything Changes': Piecing together evidence for a story of loss and absence" in Provenance: The Journal of Public Record Office Victoria, http://prov.vic.gov.au/publications/provenance Read article. Marles, J.E. 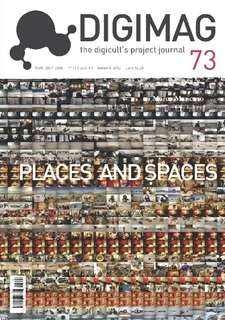 (2010) "Memoradic Narrative in 'The Shoebox'" in Jump Cut: A Review of Contemporary Media, Issue #52, http://www.ejumpcut.org/ Read article. This article is referenced in "A Producers' Guide to Digital Rights Management" in California Newsreel November 2009, Revised August 2010. Link. See review of this issue of Jump Cut. Marles, J.E. and Jukim, M., eds. (2018) "Kisah-Kisah Dalam Kenangan: Stories through Memories" First Edition. Syarkat Haji Jukim/Jukin Bin Haji Lamit & Anak-Anak, Universiti Brunei Darussalam. ISBN: 978 - 99917 -969 - 0 - 1. Marles, J.E. 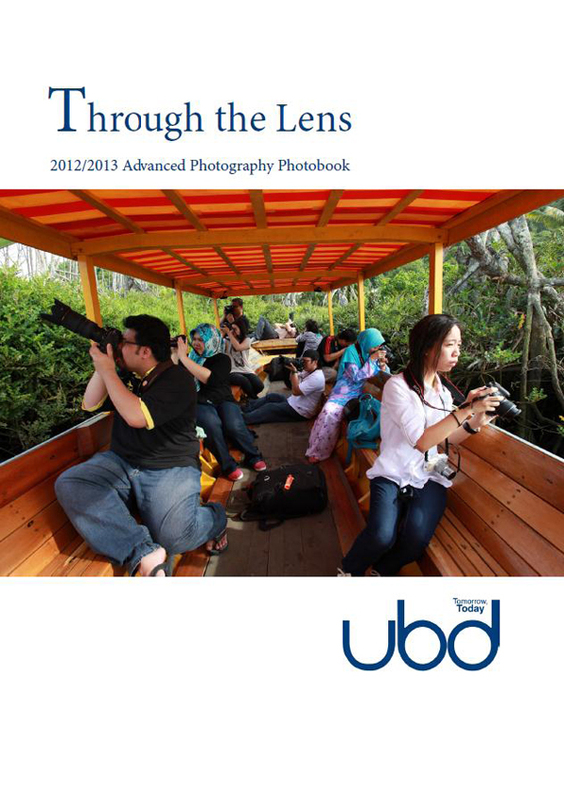 (2013) Introduction in "Through The Lens: 2012/2013 Advanced Photography Photobook", eds. Marles, J.E. and Chin, S.Y. ISBN: 978 - 99917 - 1 - 2523 - 6 (pbk. ), ISBN: 978 - 99917 - 1 - 254 - 3 (hbk.) Read book review. Front cover image by Marles, J.E., view larger image. eds. 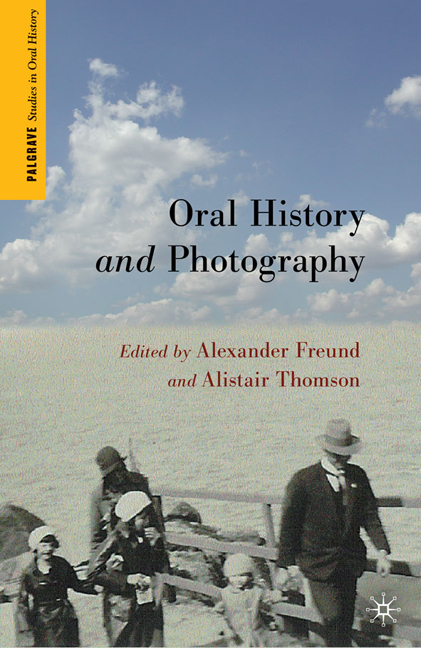 Freund, A. and Thomson, A., Studies in Oral History Series, Palgrave Macmillan, New York. pp. 203-222. ISBN: 978 - 0 - 230 - 10460 - 0. Read chapter. Front cover image from my chapter, view larger image. Dhont, Frank; Marles, Janet E.; Jukim, Maslin. (2016) Memories of World War II: Oral History of Brunei Darussalam (Dec. 1941 - June 1945) Institute of Asian Studies, Working Paper No.25, Universiti Brunei Darussalam. Link. Marles, J.E. (2015) 'Interactive Online Biography: As Device for Discovery and Reanimation of the Dead’ at Death, Dying and the Undead conference, University of Central Queensland, Noosa, 12 October. Link. Marles, J.E. 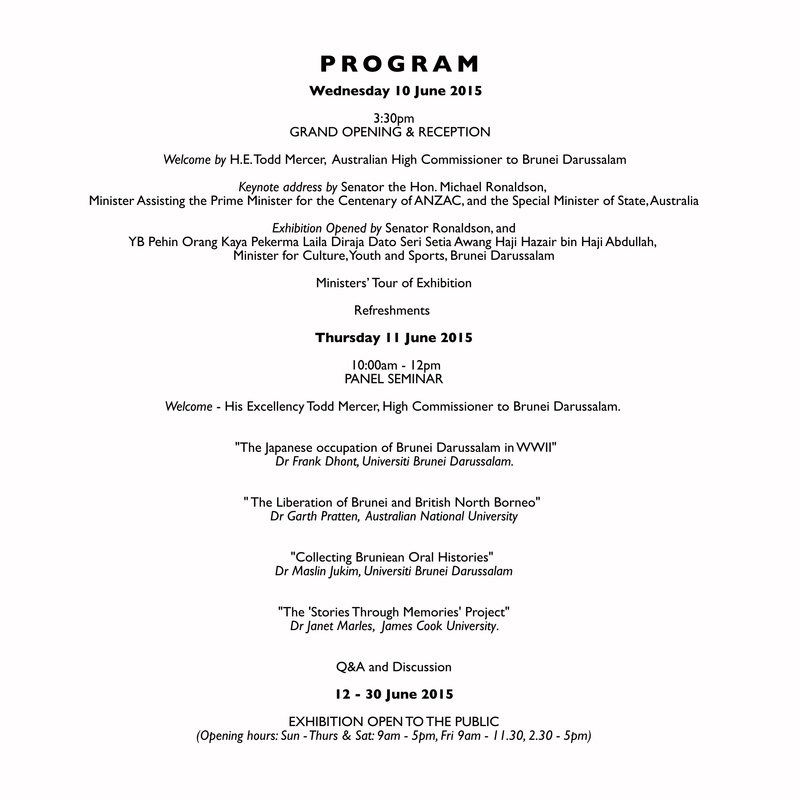 (2015) 'Fragmented Memories/Fragile Histories: The biographical story of an orphaned girl and the journey she and her daughter undertook to piece together her Lost familial narrative’ Cosmopolitanism, Women Writers, Biography: A Symposium at the School of Communication and Arts, the University of Queensland, 13-14 July. Link. Marles, J.E. (2013) 'Interactive Online Biography: An Exploration of Form and Content.' presentation in panel on 'Project Presentations I,' for 'Beyond The Subject: New Developments in Life Writing.' University of Vienna, Austria, International Auto/Biography Association IABA Europe, 31Oct-3Nov. Marles, J.E. (2013) 'An Interactive Approach to Digital Storytelling: Memoradic Narrative.' presentation in panel on 'Using Digital Media In Storying,' 4th Global Conference on STORYTELLING Prague, Czech Republic, Inter-Disciplinary Net, 21-24 May. Link. Marles, J.E. (2012) 'Interactive documentary construction and user expectation', Exploring Documentary Interactivity, Visible Ecidence XIX, the international conference on documentary film and media, Australian National University, Canberra, 19-21 December. Marles, J.E. (2012) 'Memoradic Narrative: memory and narrative in digital history documentary', International conference on New Media, Memories and Histories, Nanyang Technological University, Singapore, 4-7 October. Marles, J.E. (2012) 'Brunei Darussalam Three Sixty, a multi-dimensional documentary architecture to tell a multi-faceted story', The Asian Conference on arts and Humanities, Osaka, Japan, 5-8 April. Marles, J.E. (2009) 'The Shoebox, Memory and Narrative A Case Study', Visible Evidence XVI, the international conference on documentary film and media, University of Southern California, Las Angeles, USA, 13-17 August. Marles, J.E. (2006) 'Conflating Forms: The Shoebox a case study of merging non-linear interactivity and linear narratives', ENGAGE: Interaction, Art & Audience Experience, A CCS/ACID Symposium, University of Technology, Sydney Australia, November 2006 in ENGAGE: Interaction, Art & Audience Experience, ed Edmonds, E; Muller, L; Turnbull, D, Creativity and Cognition Studios Press, Sydney, Australia, pp. 120-130. ISBN: 978 - 0 - 975 - 1533 - 4 - 5. Link. Marles, J.E. (2006) 'Some Digital Media Approaches to Non-Linear Narrative and Interactivity', ACM-SIGCHI Conference on DIME-ARTS: Digital Interactive Media Entertainment & Arts, Rangsit University, Bangkok, Thailand, October 2006 in ACM- SIGCHI Conference on DIME-ARTS: Digital Interactive Media Entertainment & Arts, ed Cheok, A.D.; Boj, C; Diaz, D; Kimpan, C, Research Publishing Services, Singapore, pp. 10-17. ISBN: 1 - 59593 - 521 - 5. Read paper. Marles, J.E. (2012, July) Brunei Darussalam: Three Sixty in Creative Industries Festival Catalogue, Creative Industries Research Cluster, University Brunei Darussalam, pp. 19-23. ISBN; 978-99917-1-247-X (pbk.). Hamidon, Z., Marles, J.E., Chin, W.K., Abdullah, A., (2012, July) Issues and Challenges for Creative Industries in Brunei Darussalam in Creative Industries Festival Catalogue, Creative Industries Research Cluster, University Brunei Darussalam, pp. 5-12. ISBN; 978-99917-1-247-X (pbk.). Marles, J.E. (2012, June) Mapping the Creative Industries of Brunei Darussalam, for Brunei Darussalam National Policy Forum on Creative Industries held at BRIDEX 28-30 May. Marles, J.E. (2006, July) The expansion of Interactive Digital Media in Singapore Griffith University. 2018, James Cook University (A$1,000) Townsville Fashion Festival JCU student photographic exhibition. 2017, James Cook University (A$1,000) Townsville Fashion Festival JCU student photographic exhibition. 2015, Australian High Commission to Brunei Darussalam in-kind support (A$15,000) for "Stories through Memories: 70 Years of Friendship" touring exhibition and events Temburong, Tutong, Seria, 4-26 November. 2015, Australian High Commission to Brunei Darussalam in-kind support (A$50,000) for "Stories through Memories: 70 Years of Friendship" exhibition and events Bandar Seri Begawan, 8-30 June. 2014, Start Up Grant (A$16,000) James Cook University. 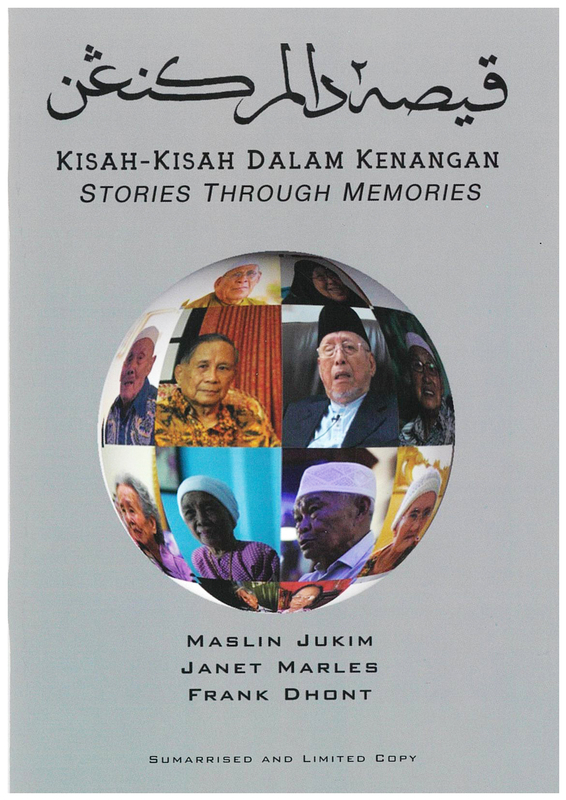 2014, Research Grant (B$10,000) with Dr. Maslin Jukim/Jukin UBD/PNC2/2/RG/1(304) : "Kisah-Kisah dalam Kenangan: Stories through Memories" (Sept 2014-March 2016). 2013, Research Conference Grant UBD/14CR0038 :'Beyond The Subject: New Developments in Life Writing.' International Auto/Biography Association IABA Europe, University of Vienna, Austria, Oct-Nov.
2013, Research Conference Grant UBD/13CR102 : 4th Global Conference on Storytelling: global reflections on narrative, Prague Czech Republic: Inter-Disciplinary Net, May. 2012-2014, Seed Research Grant (B$9,840) UBD/PNC2/2/RG/1(216) : "A Few Days in June a multi-media history documentary" (June 2012-July 2014). 2012, Research Conference Grant UBD/12CR1029 : International Conference on New Media, Memories and Histories, Nanyang Technological University, Singapore, October. 2012, Research Visiting Scholar's Travel Grant UBD/GRS/5.5/RL-Mac12-05 : Nanyang Technological University, Singapore, June. 2012, Research Conference Grant UBD/12CR996 : Asian Conference of Arts and Humanities, Osaka Japan, April. 2011, Creative Industries Research Cluster (CIRC) seed funding (B$20,000) UBD/PNC2/2/RG/1(99), 3 August. 2009, Griffith Graduate Research School Conference Travel Grant (A$2,000) to present at Visible Evidence XVI hosted by the School of Cinematic Arts, University of Southern California, Los Angeles. 2007, Griffith University, Faculty of Arts, Dean's Support Grant (A$3,000) to travel to Singapore for one year as a visiting scholar with the Communications and New Media Programme, Faculty of Arts and Social Sciences, National University of Singapore. 2003, Griffith University Community Service Grant (A$13,000) for the project : Griffith Film School staff and students supporting refugees through the creation of the Scattered People music CD and film clip. Marles, J.E. (2018) 'Making Oral Histories from Borneo Accessible' 14th International Borneo Research Council Conference, Translating the Past Envisioning the Future. Kuching, Malaysia. 6-8 August. Marles, J.E. (2017) 'Not Just Another Story: WWII Borneo, the Locals' Perspective' Tropics of Imagination Conference, Singapore, 8 September. Marles, J.E. (2017) Interactive Media Design and Construction, School of Arts and Media, Wuhan Polytechnic, Wuhan, China, 27 June..
Marles, J.E. (2017) Collaborative Learning Approaches to Higher Education Teaching, School of Arts and Media, Wuhan Polytechnic, Wuhan, China, 26 June. Marles, J.E. (2015) ShowCASE presentation of Kisah-Kisah dalam Kenangan - Stories through Memories to College of Arts Society and Education annual meeting, James Cook University, Townsville, 2 November. Marles, J.E. (2015) Interactive Online Biography: An Exploration of Form and Content at Library and Information Services' workshop of Digital Humanities, James Cook University, Townsville, 29 October. Link. Marles, J.E. 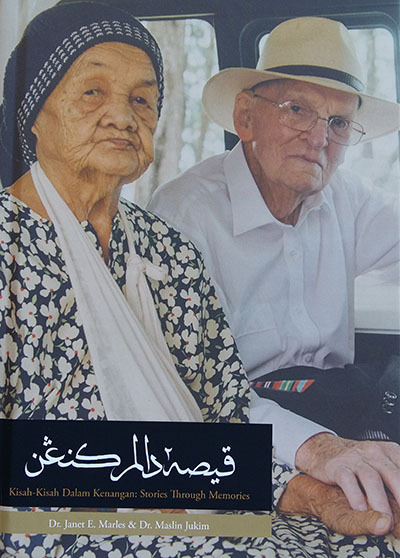 (2015) 'Kisah-Kisah dalam Kenangan/Stories through Memories': An Oral History Project Collecting Personal Stories of Those Who Lived through World War II in Brunei Darussalam (1941 -1945), at The Second World War: Interpretations and Perspectives: A revisit after seventy years, 1945-2015, the international commemorative conference, Universiti Kebangsaan Malaysia, 9 October. Marles, J.E. (2015) Self as Place; Place as Self - Cultural Identities and Tropical Cultures; Kisah-Kisah dalam Kenangan - Stories through Memories at Tropics of Imagination - Reef and Leaf, The Cairns institute, James Cook University, Cairns, 17 September. Link. Program. Marles, J.E. (2015) 'Stories Through Memories: 70 Years of Friendship' Seminar Panel, Opened by the Australian High Commissioner to Brunei Darussalam His Excellency Todd Mercer. Speakers: Dr Garth Pratten (ANU), Dr Janet Marles (JCU), Dr Maslin Jukim/Jukin (UBD) and Dr Frank Dhont (IAS-UBD). The Art Gallery, Royal Wharf, Bandar Seri Begawan, 11 June. Link. Marles, J.E. (2015) Stories Through Memories: Bruneian Experiences of World War II, Brunei Nature Society, University Brunei Darussalam, 7 April. Link. Marles, J.E., Jukim/Jukin, M., Dhont, F., (2015) Stories through Memories: Experiences of World War II, Institue for Asian Studies, Universiti Brunei Darussalam, 18 March. Flyer. Marles, J.E. (2013) Interactive Online Media: Form and Content, Communication and Media Studies, School of Arts and Social Sciences, Monash University Malaysia, 18 November. Marles, J.E. (2013) Interactive Digital Documentary, Informal paper bag lunch presentation to Faculty of Media and Communication, Royal Melbourne Institute of Technology (RMIT) Australia, 17 September. Marles, J.E. (2013) Creating Interactive Media, Integrated Media 2, Faculty of Media and Communication, Royal Melbourne Institute of Technology (RMIT) Australia, 16 September. Marles, J.E. (2013) 'An interactive approach to digital storytelling: Memoradic Narrative' panel on Using Digital Media in Storying, at the 4th Global Conference on Storytelling: global reflections on narrative, Prague Czech Republic: Inter-Disciplinary Net, 21-24 May. Marles, J.E. (2012) Interactive documentary construction and audience expectation as part of a panel on Exploring Documentary Interactivity at Visible Evidence XIX International Conference on Documentary Studies, Canberra, Australia 19-21 December. Marles, J.E. (2012) 'Memoradic Narrative': a technique of memory and narrative in digital media, at the International Conference on New Media, Memories and Histories, Nanyang Technological University, Singapore 4-7 October. Marles, J.E. 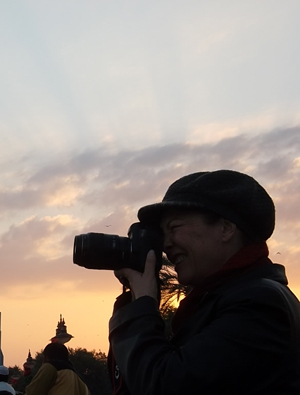 (2012) Immersive, Interactive Documentary, at the Asian Conference of Arts and Humanities ACAH, Osaka Japan 4-9 April. Marles, J.E. (2012) Online, Digital and Interactive Documentary Documentary Studies, School of Humanities, Griffith University Gold Coast Campus 27 February & Nathan Campus 28 February. Marles, J.E. (2011) Teaching with New Technologies in "Universiti Brunei Darussalam Induction Workshop", Universiti Brunei Darussalam, 17 November. Marles, J.E. (2011) Finding the Funding in “Successful Grant Writing and Building a Research Portfolio Workshop”, Universiti Brunei Darussalam, 27 April. Marles, J.E. (2010) Mockumentary, Hybrids & New Forms Documentary Studies, School of Humanities, Griffith University Nathan 12 April & Gold Coast 16 April. Marles, J.E. (2009) 'The Shoebox': Memory and Narrative A Case Study as part of a panel on "Experimental Documentary: Present and Future" co-chaired by Associate Professor Chuck Kleinhans of Northwestern University and Professor Michael Renov of University of Southern California, at VE XVI, 14 August. Marles, J.E. (2009) Documentary: Hybrids & New Forms Documentary Studies, School of Humanities, Griffith University Gold Coast, 23 April. Marles, J.E. (2008) 'The Shoebox': the fragility of memory Using Lives: ANU Biography Workshop, National Museum of Australia, Canberra, 10 September. Marles, J.E. (2007) Writing 'The Shoebox' Website Thesis Writing Group Griffith University, Gold Coast, 25 June. Marles, J.E. (2007) 'Secrets of the Shoebox': memory and narrative in digital documentary Gold Coast Public Culture Colloquium, 7 June. Marles, J.E. (2006) The Shoebox Laboratory of Advanced Media Production (LAMP), Schools of Digital Media & Documentary, AFTRS. Sydney, 1 September. Marles, J.E. (2006) Media Mobility : Report from the X | Media Pro Day @ ACMI The Business of Film and TV, Griffith University, 25 August.